I think I've over-herbed my family these last few weeks. Is over-herbed a word or acceptable phrase?? If it is, the definition would be...cooking every meal with basil, mint, chives or a combination of any or all of the above. I guess it's a side affect of growing said herbs in my little garden. They are growing like weeds and I feel bad letting any go to waste. As a side note, if you are one of my neighbors or live close by, feel free to come pillage from my garden...there is plenty to go around. To take a little brake from the herb fest, I decided to go Asian for a night and came up this yummy concoction. It was delicious! I hope you enjoy! 1. Mix together the honey, soy sauce, oil, garlic powder, salt & pepper. Add the chicken and marinate for at least 2 hours or up to 6. 2. About 30 minutes before you plan to cook the chicken make the sauce by combining the honey and soy sauce. Stir until the honey dissolves into the soy sauce. Set aside. 3. If you don’t want to purchase toasted sesame seeds, you can toast your own by placing them in a non-stick skillet over medium-low heat. Stir the seeds until they start to brown and become aromatic. 4. Grill your chicken until desired doneness. With the honey in the marinate you will get some charring, but don’t worry the chicken will still be yummy. 5. 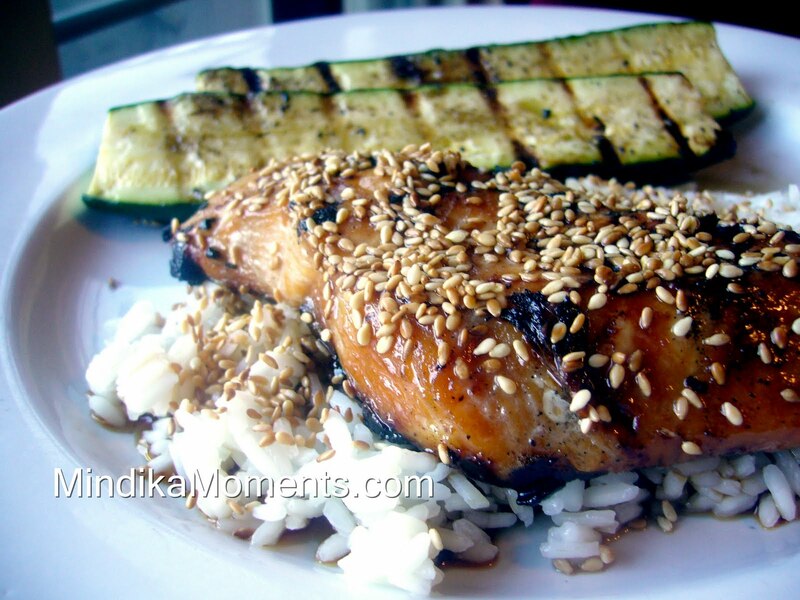 After grilling, drizzle the with the honey sauce and top with toasted sesame seeds. 6. Serve with Rice. Serves 4.